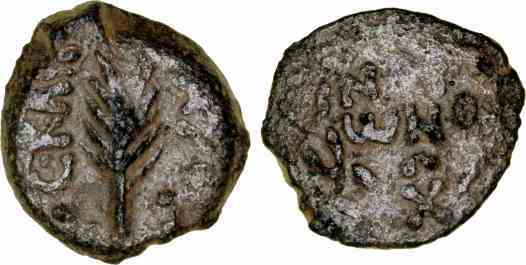 Bronze prutah, 17mm, 2.48gm, issued c. AD 60. Rev: NЄPꞶNOC, Inscription in three lines within wreath. Porcius Festus was the Roman procurator assigned to Judaea after his predecessor, Antonius Felix, was recalled around AD 59-60. Acts 25:12 records an encounter between St Paul and Festus, before Paul was sent to Rome to be judged by the Emperor Nero..